The key positions in Saudi Arabia are still mostly held by sons of the founder the modern Saudi state, Abdulaziz Al Saud (or Ibn Saud, as he is commonly known). This means that those in power are often exceedingly old and thus in ill-health and the death of two Crown Princes within nine months testifies to this concern. There is a paradoxical issue here. On the one hand, the passing of power from one man to the next does not make a huge amount of difference. Change in Saudi Arabia occurs at a glacial pace. There is just no room for a new, dynamic leader to take the top job, ‘clean house’, and institute significant changes. Thus, there is no real concern that immediate policies and practices will change. However, simultaneously, Saudi Arabia’s politics is heading towards a cliff of some description. It is running out of sons of Ibn Saud and the stints in power of coming Kings will necessarily be short. There need to be practices and procedures in place to manage the transition to the next generation, the grandsons of Ibn Saud. An Allegiance Council was set up to deal with this but this is essentially untested and everyone is fully aware that it will only play a role if it is allowed to by the more powerful Princes. Another key piece of the succession pie lies in the blocks of power within the Kingdom. Carrying a disproportionate amount of sway are the descendants of Ibn Saud and his marriage to his favored wife, Princess Hassa bint Ahmad al-Sudairi. Former King Fahd was the leader of this block and held power – nominally at least – from 1982 to 2005 allowing several Sudairi to be firmly inculcated into seats of power in Saudi Arabia. Despite this ‘good start’, this branch has suffered recently so some degree, with the deaths of Crown Prince Sultan in 2011 and Crown Prince Nayef. Nevertheless Sudairis still include Defence Minister Salman, Deputy Minister of Interior Prince Ahmed, a former Deputy Minister of Defence Prince AbdulRahman, and Prince Turki, who seems to be agitating after his return to Saudi Arabia for a position. Successors to King Saud, the immediate successor to Ibn Saud, the current long serving Foreign Minister, Saud is the leading Faisal member. Other prominent Faisals include Prince Khalid who has the centrally important role as Governor of Mecca, and Prince Turki who was the intelligence chief from 1977-2001. Turki was subsequently Ambassador to America and the UK, but subsequently disappeared from view for some time, though he retains a latent importance. The current King, Abdallah, has, so to speak, his own faction. He forged his place as head of the well regarded Saudi Arabian National Guard (SANG) from 1962-2010 as key to balancing to the ordinary Saudi Arabian Land Forces under Sudairi control. His problem stems from the fact that he has no full brothers in key positions, so his power has been invested in his sons. Miteb was recently given charge of the SANG in a move which guarantees that he will be powerful for the foreseeable future, while Khalid is on the Allegiance Council, Mishal is the Governor or Najran province, and Abdulaziz as an adviser in the Royal court. Elevated to Defence Minister in November 2011 after being Governor of Riyadh. In his 9 months at the MOD he became highly respected for his work ethic and his desire to implement changes to the archaic practices and procedures. He is widely seen as likely to be elevated to Crown Prince. A Minister with a key portfolio and an impressive track record in his post. Moving him would be a tricky matter and he does not have a good lineage, with his mother being non-Saudi. Unlikely to become Crown Prince. Could move to Defence, but will probably stay where he is. Performed poorly in battle in Yemen in 2009 and thus was not elevated to Minister of Defence when his father died. Given this public rebuke, he cannot become Crown Prince, but could conceivably finally become Minister of Defence if Salman becomes Crown Prince, though this is far from guaranteed. Formerly a hugely important figure who has more recently been lost in the proverbial desert. Despite this and his non-traditional lineage on his mother’s side, he is a widely respected figure who could play some role. Widely respected but old and ill. There has been talk of him stepping down from the Foreign Ministry so taking on another role would seem to make no sense. Still an influential and ethereal figure today. A chequered history, though, and a decidedly non-conservative streak suggest that he will not be promoted. Far too old even in a Saudi context to be considered. Recently became Governor of Riyadh, a key position; it is distinctly possible that he would be elevated at some stage. Largely overlooked thus far, Ahmed nevertheless has a strong reputation and could conceivably find himself with another job in the coming weeks. He has earned an excellent reputation in the MOI for improving its counter-terrorism and intelligence abilities though being a worldly, un-dogmatic, and diligent worker. Would have been a clear leader to be a future Crown Prince had his father lived to be King. Will still be among the key contenders; he is the son of a key Sudairi after all, though he is very young. The Governorship of Mecca carries with is significant responsibility and prestige. He has been in the post for five years now. He is one of the older candidates of those not a son of Ibn Saud, which in the Saudi context could be significant. Formerly of the SANG where he spent over a decade, he has for almost a year been the Deputy Foreign Minister. He is also on the board of KAUST, hoped to be one of the key institutions of change in Saudi Arabia, and stands a good chance of being the next foreign Minister at least. His position as Minister of Oil guarantees him a prominent role in Saudi Arabia. It remains to be seen how much Salman will seek to elevate him. In control of arguably the most potent army in Saudi Arabia and carries significant sway. Certainly a potential for future Crown Prince, though it depends upon whether his father can make a deal to see this come to fruition after he passes, or whether he can arrange a ‘second Deputy Prime Minister’ spot as he did for Nayef in 2009, effectively lining him up to the throne. Najran Province borders Yemen and is thus of huge strategic importance to Saudi Arabia. This kind of ‘training’ can be played upon to secure his future elevation in position. Like Mishaal, with ‘training’ in such a key areas as the Eastern Province, Mohammed is potentially ready for a higher role. Saudi Arabia’s Crown Prince Nayef Bin Abdulaziz Al Saud, has died at the age of 78. He had been ill for some time, apparently suffering from some form of cancer, and had received long-term treatment in America and he was recently recuperating in Geneva when he passed away. Nayef was elevated to the position of Crown Prince in November 2011 with the death of former Crown Prince Sultan. However, in reality Nayef had been the second most important individual in Saudi Arabia for some time given Sultan’s profound incapacity. That the Saudi Royal family has suffered another key death within a year is concerning but can come as no surprise. The leadership is universally old with the King being somewhere in his late 80s or some reports suggest that he could even be 94 by now. It is difficult not to draw comparisons with the twilight years of the Soviet Union with Brezhnev dying in office in 1982 to be replaced by Andropov who lasted 18 months in office, and then Chernenko who barely lasted a year. While the move to a new generation of leadership took another leap forward with Nayef’s death, it will not happen just yet as Defence Minister, Salman will become likely Crown Prince. Nayef is the twenty third son of Ibn Saud, the key founder of the current Saudi state, and the half-brother of King Abdullah. He is one of the key Sudairi brothers, born of the most influential and important mother of Ibn Saud’s children in 1933, and he received all of his schooling in the Kingdom with no long-term studies abroad unlike many of his compatriots. After a short stint as the representative of the Principality of Riyadh, he became the Deputy Governor of Riyadh and later the Governor. From 1970-1975 he was the Deputy Minister of the Interior and he was the Minister of Interior from 1975 onwards. This position gave Nayef substantial power and prestige and he expanded the Ministry of the Interior exponentially and today it is an enormously powerful organisation pervading Saudi Arabia. In March 2009 Nayef became the Second Deputy Prime Minister and in November 2011 he became the Crown Prince with the de jure reality finally catching up to his de facto powers. His reputation is that of a fierce conservative. Though there is no doubt that he has been an arch proponent of the Saudi Arabian line on Bahrain and has been deeply involved with various crackdowns in the East of Saudi Arabia over the years, this reputation is somewhat overblown and it is better to see him as a staunch pragmatist and conservative, rather than a zealous religious-conservative. Nayef has four sons of whom the most important by some distance is Mohammed Bin Nayef, who was second in charge of the MOI and will take over now. There have been rumours for some time that the MOI itself will be split up into two organisations and another of his sons, Saud, would take over, but this is only supposition presently. Abroad, Nayef has had an important role for many years. Despite his staunch and conservative nature, he has engaged in various overtures or at least discussions with Iran over the years, and was believed to be one of the key proponents behind Saudi Arabia’s troop and armament deployment to Bahrain in 2011. In terms of reforms, though Nayef is, as noted, portrayed as some kind of arch-conservative (which is true in certain circumstances) it must not be forgotten that he presided over one of the key emancipatory actions for women in modern Saudi history: the imposition of ID cards. This allowed women to, by themselves for the first time, open bank accounts, sign up for University and similar moves. Though Nayef did not do this for women’s freedoms, but instead for purely security-driven concerns, it highlights again that he was willing to be pragmatic when necessary. It is likely that Salman, 76, the former Governor of Riyadh and Defence Minister will become Crown Prince now. A body called the allegiance council was established some years ago to preside over such changes, but should not prove problematic in this instance. Subsequently, the picture become much more murky. There are other Princes who are the sons of Ibn Saud – Prince AbdulRahman (b.1934), Prince Ahamd (b.1940) and non Sudairi sons too, such as Prince Muqrin. But they too are old, in varying degrees of ill health, and are, at the most, stop gaps. Saudi Arabia needs to come to terms with moving the leadership down a generation to the grandsons of Ibn Saud, yet this would likely be a highly fractious decision. With Prince Salman waiting in the wings, it is unlikely to happen this time, though the leadership will surely discuss who is to be next; a difficult but crucial decision for the future of the House of Saud and Saudi Arabia. I also fear that there will be new misguided stringent rules…the authorities must resist the temptation to ram through new but ultimately ineffective knee-jerk laws to assuage the need to ‘do something’. I hope that I am wrong about all this but it looks like the plans in question are a vastly over ambitious, ill conceived, impractical, and likely ineffective reaction to recent events. Plans are afoot to run checks on all buildings in the country, whether public or private, residential or commercial, to see their compliance with safety requirements as part of a nation-wide drive to ensure safety of life and property. 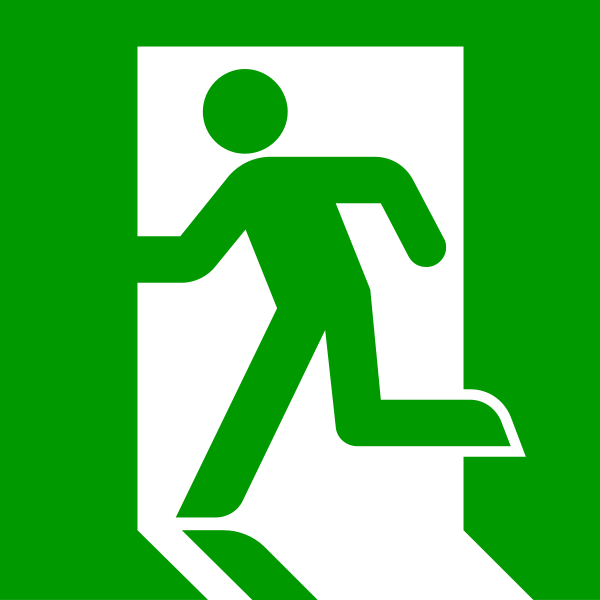 Once the amended law is in force, all buildings in the country, whether new or old, residential or commercial, public or private, will be required to have emergency fire exits, spacious passageways to these exits, emergency staircase and the walls must be fire-proof. Storage areas in buildings must be safe. Buildings that do not comply with the new rules and do not rectify their situation even after warnings will be referred to court or they could even be seized. Licenses of old buildings will not be renewed unless they amend their engineering designs to comply with safety requirements. All buildings are to be inspected? Every building in the country? All of the tens of thousands of them? Who, exactly, will do these inspections? How many hundreds or thousands of inspectors that are – obviously enough – not currently trained or resident in Qatar will be needed? From where will these people be imported? Where does such a large number of trained inspectors reside, exactly? It’s not like there’s a whopping great pool of such people just sitting around in, say, India or Malaysia, surely. So they’re going to mandate emergency fire exits on all buildings? So all houses will need exits with those emergency bars or something like that? Really? They’re going to tell Qataris to install ugly, commercial emergency fire exits in their houses? Are there enough emergency fire exit bars in the whole Middle East to cater for this demand? Are there enough qualified people to install these things in Qatar? Of course not. If they enforce this not only would it be just spectacular over-kill making all residential houses in Qatar install such emergency exits, but it will be an epically expensive affair: demand will outstrip supply exponentially, instantly. Emergency exit kits will become worth more than gold. All walls must be fireproof? Again, the same logic applies: where will the supplies come from? I’m not an architect but it will surely be difficult and impractical (not to mention egregiously uneconomical) to retrofit all old buildings with such walls. In short, there seems to be an utter lack of nuance in these new laws. There needs to be a discussion as to balancing the needs of safety with a practical and realistic assessment of what can actually be done. I’m sure that the authorities would not be as cynical as to use this as a way to squeeze firms out of the old buildings in Qatar into the hugely under occupied and hugely expensive new commercial towers in Doha and are just being over zealous in their approach.Yet the concern is that in this desire to make Qatar a safer place, this kind of blanket approach will primarily result in onerous requirements for businesses and residents and an exponential rise in profits for fire-safety supply firms. The pay-offs involved need to be interrogated; for example, reducing the speed limits on the roads to 20mph would reduce deaths on the roads almost entirely but the knock-on consequences of this would clearly be severe. A similar realistic cost-benefit analysis needs to be undertaken. Moreover, this ‘reaction’ appears to have missed out several key aspects. What about the procedures of the civil defence; how are they being modified? What about the training for the ‘security’ guards in malls and other public places? Will they be invested in? What about the intrinsic problems within the Ministries as a whole that led to the woeful lack of inspection into these concerns in the first place? Any changes there? Any responsibility being taken by anyone? Lastly I would note that this is another sad day for journalism in Qatar without any of these points being raised. Surely someone at the Peninsula had some reservations about these policies? What I write here is too often not seen in a Qatari context and, as I note, certainly not in the papers. This is not a personal or institutional attack; it is not malevolent or mean-spirited; it is a genuine critique of an emerging policy. I have little doubt that the key Sheikhs in question would not begrudge this small, insignificant effort to widen the debate; indeed, all the key Sheikhs and Ministers that I’ve met thus far have been really quite worldly and interested in discussion. When it comes to such important issues such musings are necessary to widen the debate, discuss ideas, and to try to plug the holes in policies that need to be plugged. Op-eds by experts in this field are needed in the local papers; this is a necessary service that they need to provide, not a nice optional extra. A few months ago when stratfor was hacked and it was discussed endlessly for a few days on the internet, I was struck by the tone of the reporting. In hushed terms, it was described as if a quasi-CIA had been hacked as opposed to a bunch of reporters and interns writing copy. Truly, after reading straftor for a few years on and off, the notion that they were anything other than bog-standard never occurred to me. Well, it seems that my rating of ‘bog-standard’ was far, far too generous. For they now allege that the real reason for the deadly fire at the Villagio shopping mall in Qatar was because of some kind of Shia splinter terrorist group, seeking revenge upon Qatar for its meddling somewhere in the Middle East. There are, of course, numerous plausible parts to the story. It is entirely feasible if not certainly true that Qatar as a country has angered a great many people around the region. Many of those angry people are Syrian and Libyan, both of whom have a history, shall we say, of using irregular and asymmetric means of retaliation. The notion that they might attack Qatar is, therefore, plausible. (Let’s forget for the moment that Qatar has been rigorously backing Hamas and – more importantly in this context – Hezbollah for many years). But, if you’re going to push such a story, really, honestly and truly the very last person that you would wish to quote setting up your thesis is a Sunni Bahraini MP. I mean really. Bahraini Sunni MPs – or rather some of them – spend their lives finding imaginary Shia bogeymen to blame stuff on. It’s practically a sport and an art-form in Bahrain. Nary a semblance of truth, nor a shred of evidence is typically present yet this seldom prevents such gents stoically, studiously, and vociferously ignoring reasoned evidence to the contrary (to wit: the Bassiouni report) and pursuing the ‘Shia are behind everything’ defence. I’d lean for option (1), but stand ready to be corrected. So far, there is no evidence to confirm such involvement. only to later note that there is no evidence for this? What other articles could they run with no evidence? George Bush possibly converts to Islam? Saddam Hussein maybe comes back to life? Ayatollah Khameini apparently an avid Twister addict? The mind boggles. Worse still, this article puts stratfor directly in the same basket as Press TV. They recently ran a story stating that the fire in Doha was the work of the Qatari Opposition and/or the Qatari Royal Family. These stories are worse than Press TV’s usual fare. Don’t get me wrong, its perpetually garbage, but usually there’s a bit more of a serious tone about it, where as these are so egregiously and obviously wrong that one suspects that the authors couldn’t really be bothered to think up a decent or remotely convincing narrative. Stratfor either need to present some evidence – some anonymous source noting that one Shia person is in custody being worth precisely fudge all – or retract this exceedingly poor article. Posted by thegulfblog.com in Bahrain, Qatar. To paraphrase the quote most often attributed to John Maynard Keynes, I reserve the right to change my mind should new evidence present itself, but so far there is no proof whatsoever of Iranian interference to any significant degree in Bahrain’s internal affairs. Certainly Iran is not “responsible” for the recent uprisings in Bahrain. Again, in a less than flattering manner, I discuss Bahrain in terms of the Gulf Union for RUSI here and for Foreign policy here; I’ve blogged about the Bahraini security crackdown here; I lay bare Bahrain’s core security concerns here; I criticise a puff piece on Bahrain here; I discuss the tragedy of the KSA intervention in an article titled The Endgame in Bahrain for RUSI; I wrote about the dynamics of Sunni/Shia issues in the Gulf for someone here; I’ve noted the typical lack of evidence when accusing Iran of perfidy in the Gulf here; I disemboweled a shocking Wall Street Journal article on Bahrain here; and I refer to the Bahraini authorities’ molehill of evidence of Iranian interference here. Does this mean that RUSI as an organisation, my employers for some time now, is thus to be dumped in the anti-Bahraini pot? Not so much. And does RUSI’s organising of a roundtable in Bahrain mean that RUSI is automatically dumped in the pro-Bahraini pot? Not so much. While there are clearly deep differences between writing some articles on a topic and entering some kind of relationship to put on a series of events, neither one necessarily represents the totality of opinion in a given organisation. I’ve not been involved in the preparation or execution of the roundtable event in Bahrain and I’ve not attended the sessions, so what I say is coming from secondary sources. Obviously, it appears that the Bahrainis have stacked the deck and have not issued visas to people that they agreed could attend the events. This is a monumentally silly thing to do. It looks absurd, it attracts all the wrong kind of attention, and is deeply counterproductive as Kristian Ulrichesen, one of the spurned attendees and a genuine Gulf expert eloquently notes in Open Democracy. The only note of caution that I would insert here is to say that a touch of judgement should perhaps be reserved until one sees the results (RUSI’s commentary, analysis, reportage) of this roundtable. There is a logic to castigating RUSI noting that it should not lend the fevered rantings of a segment of opinion in Bahrain the forum to rant further. This makes sense to some degree, but to my mind is profoundly undercut by the deeper need to engage. The first article that I ever wrote for publication in February 2008 discussed this exact point in relation to KSA (Asia Times Online here, and the same idea for Infinity Journal here). In these articles I cite the (depressingly reoccurring) example of a maid in early 2008 in KSA who was to be whipped because she was raped after getting into a car with men to whom she was not married. Yet this absurdly barbaric sentence was quashed by King Abdullah thanks in large (if not quantifiable) part to the storm of Western-led pressure. If my memory serves me well, even Hilary Clinton got in on the act. I suggest, therefore, that Western engagement in KSA, which is – obviously enough – done mostly on a Government/commercial basis, was profoundly important in this case. Moreover, it does not seem to be a huge leap to me to suggest that had the West disengaged from KSA as there is significant pressure to do, then America’s or Britain’s key role in KSA would be replaced by Russia or China, and I think we can be certain that neither Beijing nor Moscow would have batted the proverbial eyelid about this poor victim who was to be whipped. In a similar vein, I just don’t see the utility of disengaging with Bahrain. I don’t see what would be gained or how it would improve the situation. Does anyone really think that what Bahrain needs is further isolation, condemnation, and finger-wagging? Or, to put this another way; would such an approach lead to some kind of an equitable solution faster? I don’t presume to understand how one can effectively and quickly facilitate the sides in Bahrain in coming to a compromise of some description, but I think that engagement by RUSI or HMG or whomever is likely to be a (small) part of the answer. Like all RUSI researchers, I write this post in a personal capacity, for the Institute does not hold a corporate view, precisely in order to encourage a free flow of ideas. Many attention-grabbing headlines have emerged from Euro 2012 thus far. Few have had to do with the football. Similarly, rather than the ball crashing into the back of the net or a player launching himself into a full-blooded block of an opponent’s shot, to my mind, it is this picture that has been by far the most arresting image of the tournament thus far. After a few days of these headlines, I have drawn the preliminary conclusion from the available evidence that racism and homophobia are unfortunately still indelible in the Ukraine and Poland. I’m not drawing this conclusion from one story, one incident, or one documentary, but there seems to be a pathology of such incident thus far (and the tournament is only a few days old!) that means that my take-away conclusions are that, (1) it was ridiculous that this tournament was given to these countries, (2) I deeply don’t want to visit these places. I stand ready to be corrected if anyone wants to point out that the eight or nine incidents thus far were merely…umm…coincidence, but either which way, I doubt very much whether this was the message Poland and the Ukraine wanted the world to see by hosting these tournaments. Qatar in 2022 will have similar problems. No, I’m certainly not suggesting that Qataris will be attacking gay campaigners like in this photo or that Qataris will be at all rude, even, chanting offensive slogans or anything of this nature. But the message that Qatar wants to put across to the world by hosting this tournament will get filtered through the international media who will pick up on some decidedly non-football related stories and run with them. In the Qatari context, perhaps it will be the police taking away a drunk fan? Or corralling a group of rowdy, intoxicated England fans back into whatever football-drinking pens have been established. Qataris will reply that such incidents take place at every tournament but are not so salaciously splashed across the headlines. They will be right, of course, but being right is not really enough. As a country I think that Qataris will need to develop a tough skin over the coming few years. Many seemed to be wholly bewildered by the storm of criticism that rang out after they were awarded the World Cup. Much of this was, indeed, unfair but such is life. Hosting the largest sporting tournament on earth is going to put Qatar under the microscope like never before. Qatar and Qataris need to accept this – this is the Faustian bargain that they have made – and hire some PR people to deal with these incidents as and when they occur.